When it comes to replacement windows, depend on a company with over 35 years of experience. Gulf Coast Windows is the only window company with factory trained installers, offering a lifetime transferable warranty. They are the winners of the BBB’s highest honor, The Pinnacle Award. 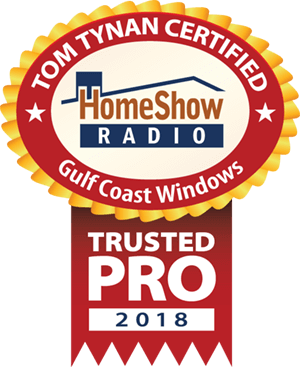 Serving the Greater Houston area, Gulf Coast Windows is a trusted HomeShow Pro, certified by HomeShow Radio’s Tom Tynan. How can Gulf Coast Windows help you? • A replacement for replacement windows?